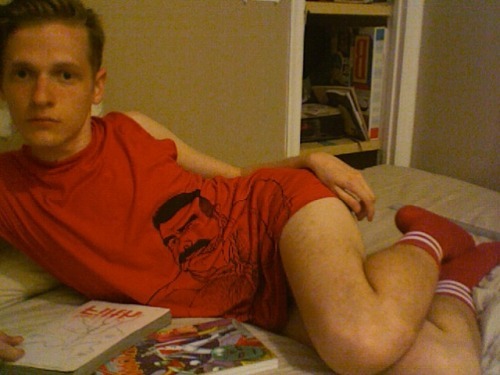 Talented and fabulous Canadian queer cartoonist Eric Kostiuk Williams serving webcam selfie fierceness in the red Gengoroh Tagame “Rope Bound” t-shirt from Massive. Perfection! !